What’s better than a crunchy breaded fish fillet? A crunchy breaded fish fillet on a bun. 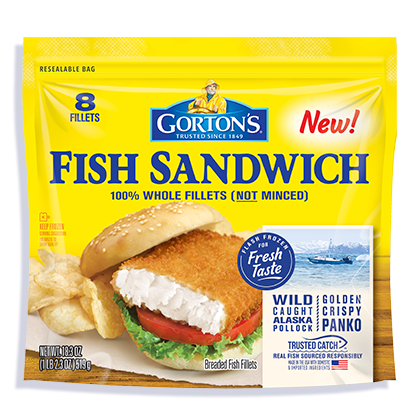 Our Fish Sandwich Fillets are the secret to a perfectly delicious fish sandwich. 3. Bake 16-18 minutes total* Flip after 10 minutes.